Let me kick off April by giving a special thank you to my Top 10 Droppers for Mariuca's Perfume Gallery in March. 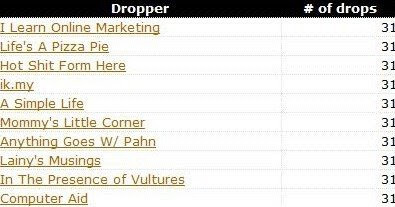 This is my first actual Top EC Dropper post thanking all ten top droppers with linky love and from now on, it will be a monthly affair. 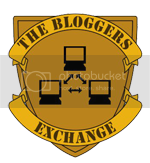 I totally get the difficulties and woes we sometimes endure to make sure we drop on that very important blog daily, so you guys deserve a thank you for all your effort and diligence in dropping. From now on, I will also award 1000 EC credits on top of the FOC Ad I am already giving away to my Top Dropper every month. Thanks so much for all your visits and drops last month and I hope to see u back here in April. Happy dropping! congrats to the TD of MPG!!! Ha ha ha u did GG? Show me la here!!! O NO GG is chopping at super human speed. Mariuca I wanna ask you smthing abt TD..
Hehehehe..trying to resist the temptation now, GP! Aiyo, if chocolate lagi la I laik nanti. Better don't buy lol! I took screenshot at midnight first day of the month also..so i follow the previous one la? I'm so glad my 2 blogs made it here. wow! congratulations to the ones on the top 10. galing naman! sana ako rin... maybe this month, pwede nako sa list na yan. hehe. will try! how's your friday? hope everything's well with you. by the way, let me know if we can exchange links. we still haven't done that, right? following this blog of yours and your other blog, too. have a great day! Drop till u drop Ane, here esp lol!